Faculty Council is reevaluating an IP rights policy proposed four years ago but lost in the approval process, preventing it from being enacted. As technology becomes more common in the classroom, faculty and students are entering a debate as to whether it hinders or benefits learning. 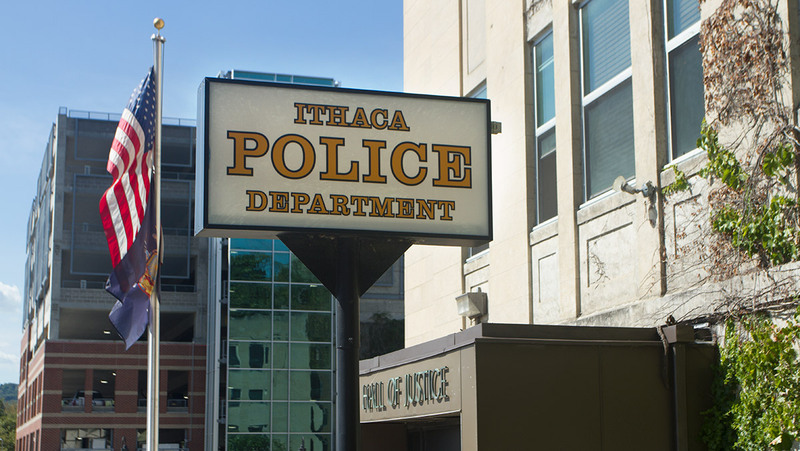 An Ithaca College alum is suing the Ithaca Police Department for mistreatment when he was allegedly illegally detained at a party in 2016. The Ithaca College Sexual Violence Prevention Committee hosted its kickoff event April 9 to begin a monthlong series of events for Sexual Assault Awareness Month. Two Ithaca College students say they were drugged at the Lot 10 Bar and Lounge, located on The Commons, the night of April 5. Guilherme Costa, vice president of legal affairs, attended the Faculty Council meeting April 2 to discuss student and faculty copyright ownership of intellectual property at Ithaca College. The Office of Public Safety at Ithaca College released a message to campus April 3 concerning druggings that occurred at local bars over the weekend. The accident occurred on 96B at around 9:16 a.m. Many students at Ithaca College participate in the South Hill mentorship program and mentor students at the South Hill Elementary School. Paula Younger, executive director for government and community relations, briefed the council on some of the new projects she is developing.